Alumni Spotlight: Steven Sutherland's "Sound of Vision"
Today, Legacy is recognizing Social Cohesion Program alumnus Steven Sutherland and his positive impact in the global blind and partially sighted community. The “Sound of Vision” project began through Sutherland’s involvement in the 2017 Jo Cox Memorial Exchange Program. Sutherland applied as a Member of the Scottish Youth Parliament, and was one of the 20 people chosen (among 400 young applicants) in the UK to take part in an exchange trip to America in the summer of 2017. On return to the UK, all 20 participants were encouraged to apply to the US Embassy for grant funding to lead a project within their home city – one based on the plans they had brainstormed and crafted during their time in the US, and one that would make a difference to young people in a marginalized community. Sutherland’s submitted a proposal based on a public speaking project for young and visually impaired people that would include a number of training sessions, as well as a final public speaking event. Sutherland’s grant proposal was successful and his project was even awarded £2600! Working closely with the GSC, Sutherland and his team developed an 8-week public speaking course for seven participants that provided specific skill-building exercises, trainings, experiences, and customised feedback in an end of project event in Glasgow City Chambers. The project ran from the 13th of June until the 5th of September 2018, in two separate blocks. The final event took place on the 10th of September in the Scottish Parliament, hosted by the Presiding Officer, Ken Macintosh; and had over 100 invited guests – including MSPs, key RNIB staff, Glasgow councillors, and the friends and family of staff and participants, alike. It is so essential to bring attention to the accomplishments and achievements of Legacy alumni like Sutherland because they are real life examples of what projects like our Social Cohesion Program hope to achieve in the minds and hearts of all attendees. 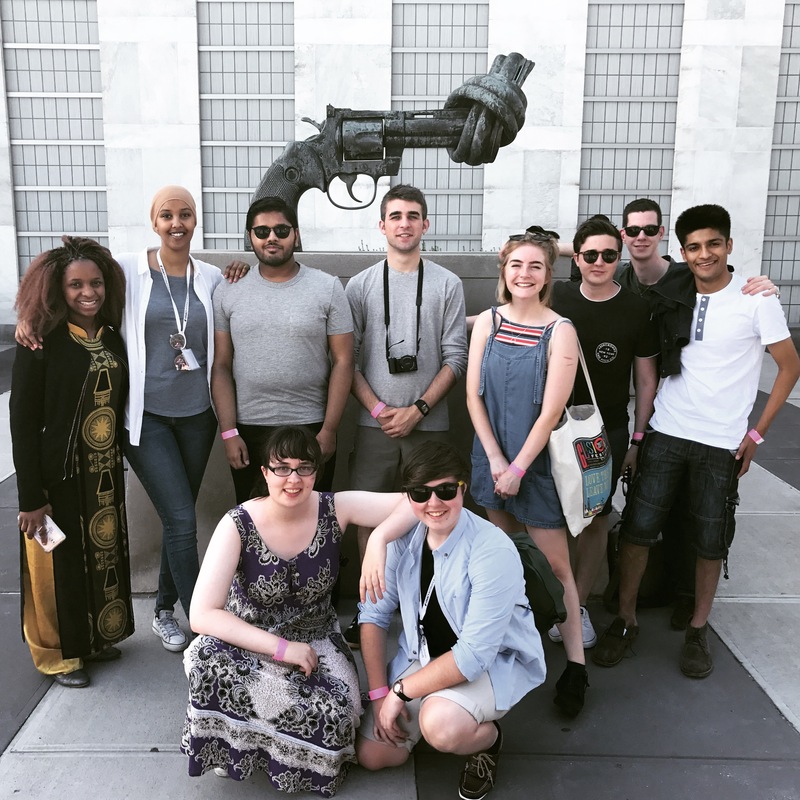 In 2017, The U.S. Embassy London sponsored 20 young people ages 15-24 for a 2 week program in the U.S. on the themes of combating hate speech and building social cohesion. They traveled from DC to Baltimore to Philadelphia and NYC studying issues of hate speech, hate crimes, and organizations promoting community dialogue on racism, gun control, and human rights. They returned home to implement social cohesion programs in their communities. In 2018, another group of 12 high school students traveled to the U.S. for a similar program. Congratulations to Sutherland for all the strides he has made in assisting and meeting the needs the blind/partially sighted community, and we hope to hear more about him soon!